If Aeris could go back and speak to her past self, there was indeed a great number of things she might say. She might tell herself how much meeting Michael and Kim would change her life, and she might also tell herself that she had no real reason to fear using her song effects. Years of inaction and reluctance would be no more, and maybe things would have been different compared to how they were now. Crossing into the realm of disbelief, she might even go so far to mention that one day, some sociopathic, pet crow-possessing man would hold her brothers hostage all in an effort to attract her attention. That last thought was ridiculous, in hindsight, but yet here it was, happening right in front of Aeris’s eyes. The lights grew to a dim quality, shading the entire training gym to become a more white gray, and there in front of her, she absorbed Craven’s appearance as quickly as she could. He was tall, clearly human, but bearing a sort of lanky, skeletal frame to him. His skin was just between pale and peach, one eye hidden under slick dark black hair, the other visible one a piercing ruby red that seemed capable of peering right into Aeris’s soul. He had an wardrobe fit for his name; bare-chested to show off skin, with a long cloak that enveloped his form and a heavy necklace that glinted crimson even in this low lighting. The word “overdone” couldn’t even begin to describe him. Aeris might have even laughed at the over the top nature of his look, but then she remembered this was the same man who had the lives of her four brothers dangling dangerously within his spindly, spider-like fingers. For now, in her eyes, he was the devil. The lights stayed at the same intensity, as Craven didn’t move an inch, his red eyes instead scanning Aeris from top to bottom. His lavicious gaze was incredibly intrusive, made only worse but that wide, almost psychotic smile. Aeris stayed quiet. As Kim had taught her, it was better to allow the situation to unfold, reveal as little as possible, and find an advantage when it presented itself. Her headphones were already in her ears, music player in one hand but no song playing, as Aeris waited for some form of attack that prompted an appropiate response. Another piece of advice from Kim; never show your song effect until the last possible moment. There were few better ways to throw your opponent off. Thus, she ignored the fact that Craven used her grandmother’s first name and somehow knew who she was, instead focusing on how swiftly she could take him down. From what Aeris could tell, he had no headphones in, and naturally with no music in the air, no song effect active. But one hand was at his side, with something gripped within his fingers. A remote, she thought. Or a music player with an external speaker. Either way, that meant he was prepared for some degree of violence. She said nothing, fully prepared instead to respond to his request in kind. Aeris could feel herself moving forward, her fingers clicking on her music player as she activated This Fragile Breath but a moment later. Despite all her anger, and every screaming emotion demanding she burn Craven asunder with blue lightning, she stopped herself. The song effect crackled between her fingers, but somehow, she was able to control it from arcing out wildly and claiming the target just a few feet in front of her. Craven looked to one side, clearly disappointed. “Come now. Do I really have to do all the work here? It really is a lot less fun that way.” he remarked, before swiftly pressing the play button on the remote in his hand. All around the two of them, his chosen song blared with violent intensity; a thundering and ominous opening that soon transitioned into a bloodthirsty series of riffs. Aeris’s eyes widened as his song effect soon manifested into being. It seemed he could Harmonize in but a split-second. 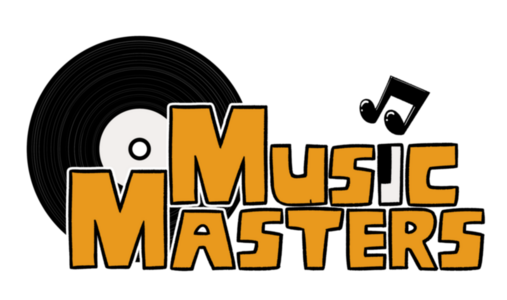 That was the sign of a Trackmaster: a title used to describe Music Masters of great experience and even greater song effects. That meant he was on the same level as Rob Prototype. Aeris made a mental note; this would require extreme caution. She stayed her position, gauging the threat as she observed a heavy, dark crimson fog form ten feet above where Craven was standing. It expanded and pulsed, as if teeming with life, before vomiting forth fat drops of what appeared to be bloody rain. Craven wallowed in the sudden downpour, red slick staining his skin and his clothes as he closed his eyes and looked up to the heavens. Seeing a supposed moment of distraction, Aeris didn’t waste a second. She rushed forward now, lightning arcing around her right gloved hand and poised to take out Craven’s tactile control before anything. She made it about three feet before a loud cracking noise split the air, and Aeris just barely stopped to avoid being hit by the large, blood-colored axe that now lay embedded within the sterile white floor in front of her. Craven looked on approvingly, opening his right palm towards Aeris to reveal a long cut that appeared fresh. As she watched in wonder and horror, the blood from his wound seemed to slip out as if affected by zero gravity. In the next moment, the blood elongated, and like some horrid tendril, wrapped around the hilt of the axe in the ground, dragging it quickly in the air and right into Craven’s open hand. Even as Aeris opened her palms to shoot forth more lightning, Craven had the axe guarding him, deflecting the stray bolts before dashing forward to meet her head on. Two more bloody lightning strikes slammed down on either side of her, transporting more blood-colored weapons to the material realm. The red rain stained the once pristine white floor, and as Aeris was partially distracted trying to dodge the weapon projectiles, Craven took the opportunity to strike. He hit her with the flat of the axe, slamming hard into her cheek and sending her catapulting down onto the floor. Craven stood over her with a dominant shadow as Aeris slipped in the process of trying to get back up. The raincloud remained above the two of them, red droplets wetting her hair and her blazer even as she stood face to face with her brothers’ captor. She eyed the weapon in his hand. One quick strike, and he could easily lop her head off. It was obvious to anyone that he was staying his hand. He held the axe in front of him, the edge of the blade just centimeters away from Aeris’s chin. In his other hand, Craven held up the tiny remote for her to plainly see. “Perhaps you just need some motivation.” he began, displaying a long finger poised over an unknown button on the remote. “This is good for more than just playing my music. With a click of a button, perhaps your dear siblings might go for a little swim. It all depends on you, really.” he told her with a laughing threat. The weapon was so close, and Aeris knew that she’d have to keep her distance forever unless she could use something level the playing field in turn. So with a bold move, one that rightfully assumed Craven might hold back in this deranged game he was playing with her, Aeris switched songs as she dodged what appeared to be a lazy axe strike that came nowhere near close to hitting her. As if to counter Craven’s violent metal theme, a more upbeat and valiant crescendo of sound arose from within Aeris’s light blue headphones. She held a defensive stance as the song effect manifested into being, causing Craven just the slightest bit of excitement as he observed the incoming change. In Aeris’s right hand, a mechanical wonder of a sword styled with gears and myriad other parts seemed ready to cut down any opponent. In her left, was a tall shield emblazoned with with the design of a holy book, clad in bronze and gold colours and ready to defend her against anything. They were science and faith as one; and together they might defend her against the demonic man that was Nicodemus Craven before her. “Now we’re talking! I do love seeing song effects for the first time. Like catching a flower in first bloom.” Craven exclaimed, perhaps a little too excitedly, before hoisting his blood-colored axe up now with two hands. He made a swing at Aeris, in the form of a low, heavy blow aimed for her knee. But she’d trained on this particular song effect with Kim, and it showed as her sword quickly met his axe in turn, sending it right back as she forcefully pushed him away. While Craven recovered, Aeris plunged the clockwork sword forward, aiming for the exposed skin of his upper chest with as much threat as she could muster. If he lost an arm, then her conscience was clear. Anything to get that remote out of his grip. But despite the weight that the weapon in his hand appeared to have, Craven dodged with quick grace, dropping the axe to crack into the floor. With uncanny speed, he then elbowed Aeris hard in the face in a clear attempt to throw her off balance. She stayed standig, but the blow was more than enough to buy him his moment. In the time it took for her to push the pain and grogginess away, he was bringing down a nearby blood-colored halberd; with spikes of death aimed to bisect her completely. Aeris raised her shield of faith, sparks flying as the demonic red weapon clashed against a golden angelic counterpart. Aeris gritted her teeth, pushing every muscle to their limt, as she and Craven were but inches aoart. She was nowhere near as strong as him, but at least for now, her shield and sword might just keep her in this fight. He could see the clear strain in her expression, however. Craven’s hot breath hit her face as he spoke with lustful excitement. Craven smiled, opening his mouth and showing a tongue that seemed more fit for a serpent than a person. Though he seemed far from serious, his eyes subtley shifted towards the weapons in her hands. They were within close proximity of each other, but more importantly, they shared an identical warm glow that gave Craven exactly the information he needed. “But if I am going to have to by my side, then I’ll have to impart that you be less obvious with your song effects.” he told her, confusing the girl even as she held back his bloody halbred. She was just about to respond, when the breath was knocked right out of her as Craven whipped the non-bladed side of the halberd at her legs. Her knees painfully buckled beneath her, and as she flipped in the air, Aeris could feel Science And Faith-borne sword and shield both slipping from her grip. She fell flat on the ground, both weapons now on opposite sides of her and out of reach. Craven looked at them with knowing eyes. Once they were apart, and out of Aeris’s hands, they appeared to be little more than cheap props. The book-shield became as a dusty tome, and the sword was now brown and rusted, a far cry to its former glory. Now unarmed, Aeris nevertheless pushed herself to stand back up, only for the slick of blood rain causing her to slip and fall again and bash both her elbows against the floor. Still, she fought the pain, even as Craven kneeled down to observe her seemingly fallen form. “You’re so beautiful when you’re struggling. More than anything, I admire your will. I wonder how long it will take to break.” he said, not holding back the disgusting hunger in his voice in the slightest. She felt his spider-like fingers touch the nape of her neck, then go up to her chin to pull her up and face his gaze. As Craven remarked at her innocent beauty, he was caught momentarily off-guard as Aeris spit straight in his eye. “How’s that for beautiful, you creep! ?” she shot back, anger on her face and pulsing through her entire body. He wiped away the strand of saliva, somewhat surprised. “Seems the punk girl rubbed off on you. How distasteful. I will be sure to weed that out.” he announced, before pressing fast forward on the tiny remote and switching to a song familiar to him. The air around them changed, audio shifting from the savage guitars of Slayer to the more familiar power-metal stylings of Avenged Sevenfold. The red droplets once covering Aeris, Craven and the floor were gone; dried up with the sound of the song effect. As this new song emerged, the lights dimmed further, as the song effect sucked away at all manner of brightness in order to feed its black hunger. Craven was busy taking a brief moment to Harmonize, but even in that split-second, Aeris still tried to land a punch. He spoke again as she was but inches away from hitting him. Her fist never made contact. Instead, Aeris was ripped off her feet and twisted violently into the air as long, sinuous black tentacles wrapped around her legs and turned her completely upside down. She fought to break free, but the strength of Craven’s darkforce tendrils had her caught like mouse in a snake’s deadly embrace. Aeris struggled, and Craven enjoyed every rhytmic movement in turn. All around them, the sound of Chapter Four framed Aeris’s plight, as Craven observed with sick curiosity at the now dangling, helpless form of an Audio Knight before him. With no way to get her weapons back in this trapped state, things only became worse as Craven slowly reached for her blue headphones and pulled them off. The sound of her song vanished from the air in an instant, and Aeris was now left truly defenseless at this man’s mercy. There was no escape. Aeris saw but a single option before her. She held back the urge to cry, trying to sound as sincere as humanly possible. Craven’s eyes widened, and in a mocking gesture, he put a hand to his ear. She was wailing now. Craven twiddled his fingers, satisfied somewhat but not completely. Aeris’s expression just about broke. Finally, after minutes of somber defeat, a tear broke through the lid of her right eye. “Why? Why are you doing this? What do you want from me?” she croaked, her voice strained and her body pained from the constrictive pressure. Craven just put a finger to her lips to silence her, staring down as she looked up to him from her restrained, upside down position. There was a sick sincerity in his voice, and of course Aeris was no idiot. When he said he wanted her, she knew that he meant that in more ways than one. The very thought made her skin crawl, but as she realized the corner she’d been backed up into, all of her courage broke. Like she’d done after feeling the pain of This Fragile Breath for the first time, Aeris began to cry. Her tears flowed freely, dripping onto the sterile white floor even as she closed her eyes in a feeble attempt to draw them back in. She thought about Michael and Kim, the first two friends she’d made in the longest time, and wished they could be here. Together, maybe they could have fought Craven off, got a hold of his remote, and saved her brothers in the span of a single night. She thought about Rob. Maybe if she’d told him about this, he could warp in and assure her family’s safety, and Aeris would never have had to be here in the first place. And finally, she thought about Calvin. He would have stood up for her. Truthfully, he might have died for her. It was obvious he cared about her deeply, and she felt exactly the same. But because of her biting words, he wasn’t here. He probably hated it her now, for all she knew. Aeris Fairfield was all alone, with no one but the devil himself to keep her company. And this so-called devil seemed to take joy in her released emotions, cooing her like someone might speak to a young child. “There there, my sweet. You’ll only cry for so long. In time, I’m sure you’ll find yourself enjoy your time with me. There are benefits to the darkness, I can assure you.” he assured, with Aeris trying to ignore him as best she could. She sniffled through her nose, unable to wipe away the tears which flowed past her cheeks and off her forehead. The tendrils kept a tight grip on her, hugging her figure just enough. Aeris said nothing for almost ten seconds. She thought back to her attempts to fighting Craven, and realized now that it was all a useless gesture. He’d been toying with her this entire time. When the lights dimmed, and Chapter Four had manifested, she should have known then that her fate was sealed. And if she didn’t do something, he would seal her family’s fate as well. And so, Aeris Fairfield opened her mouth, and said words that she knew she would forever regret. Her face quivered with fear, as the horrible reality of the entire situation dawned upon her. If Isaac, Spencer, David and Cory were to live past tonight, then there was no turning back. If she was still here, Grandma wouldn’t let them get hurt. Aeris would be no different. And so, Craven smiled wide, his own face warming up with twisted glee as that final cursed statement passed through Aeris’s innocent lips. Was Aeris attacked by a vampire or an edgelord, both are scary answers and one is just sad. On another note, I just love when my expectations aren’t just not met but also crushed. Now I definitely can’t wait to see how this goes. Oh wait, I understand now, she was saying that he’s old enough to be her father. That’s slightly less creepy. But only just slightly.